(*NOTE: Tying Foam Flies has gone out of print. 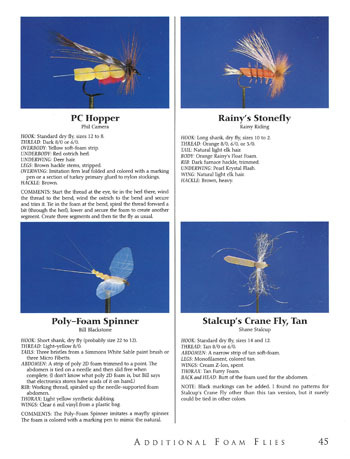 Tying Foam Flies is the original treatise on tying all sorts of fly designs tied with buoyant, rubbery foam sheeting, foam dowells, even sections of foam coffee cups and more for all sorts of flies for all sorts of fishes. For some kinds of emergers, dry flies, bass flies, and even buoyant nymphs (that rise above lake-bed snags when retrieved behind a sinking fly line) foam is ideal. What foam is best, and where can you find it? Also explored in depth are the various kinds of tying foam and considerations on selecting foam. 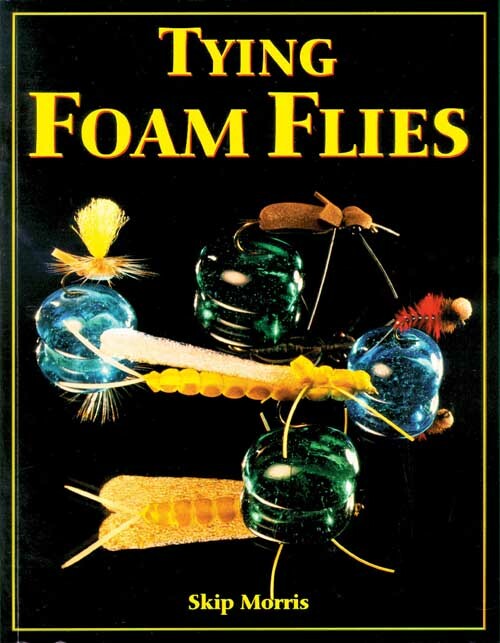 Twelve deadly foam flies are tied in detail; at the end of the book is a collection of thirty-six foam fly designs, with a photo and dressing for each fly. 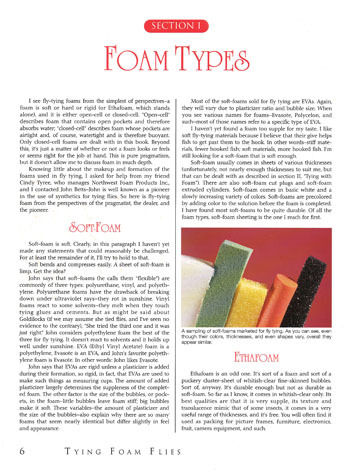 Top Left: there are several kinds of tying foam—a chapter explores the nature and uses of each. 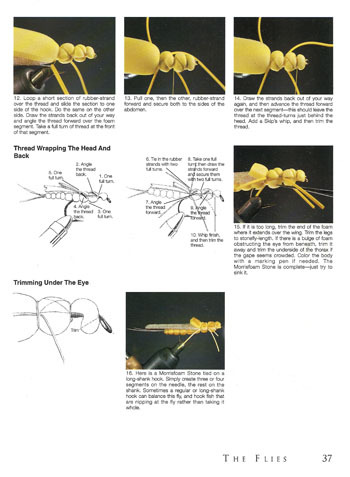 Top Right: you'll learn the tying of each fly through plenty of photos, captions, and illustrations. Right: the patterns for a variety of additional deadly and fascinating foam flies are presented at the end of the book.